Thanks to Jenny Kim for her awesome packaging concept, Milli Shoe Box. 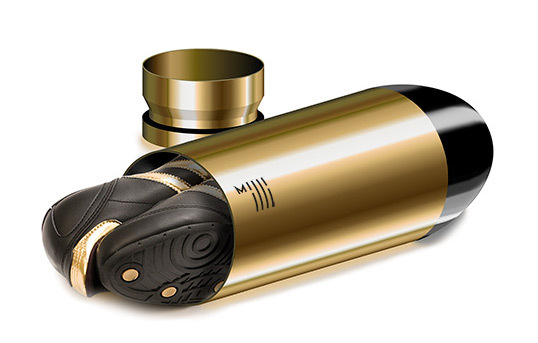 The name Milli is short for ‘millimeters,’ the unit that measures the size of bullets. It is also short for ‘millisecond,’ which is often the margin of victory in a foot race. 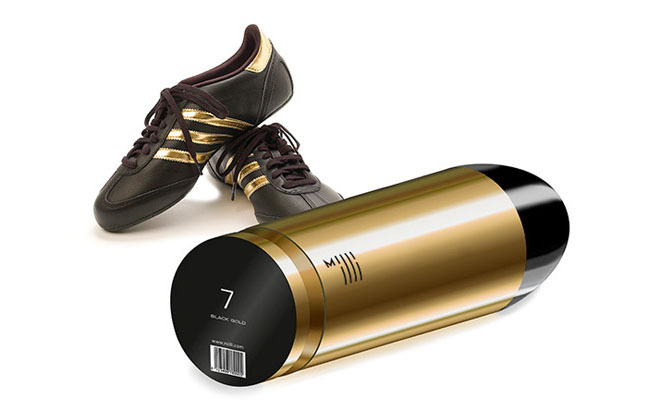 The shoe is placed inside a bullet-shaped box, a symbol of power and speed. Nice Bullet shape, power and speeeed! Love the all-around efficiency...this is the type of packaging I end up saving because I'm certain I'll find a use for it in the future...next to all the other packages for which I've thought the same.